← Not Just a “Family Matter” – Domestic Violence in the U.S. Hunger: it’s a daunting problem the world over. Even though I was eager to research and write on this topic, when I started to dig into it, I got more and more overwhelmed with how broad and profound the issue is. The stark facts saddened and discouraged me. In the United States, almost half of all food is wasted, while 1 in 4 go hungry. Here’s what shocked me the most: 16.2 million children in the U.S. are without adequate food and nutrition. And we know poor nutrition in early childhood causes lifelong problems with mental and physical development (Journal of American Medical Association, 2013). It’s hard to believe it happens at home. Many American families can’t adequately feed their own children. Parents and grandparents have had to choose between paying heating bills or putting a meal on their table. When I read through stories on the Feeding America website, many moved me to tears. Not just because of the sadness of the situations, but also because they were stories of hope. I learned that food banks are a pretty wonderful resource. They connect community members with life-saving food supplies, and even offer health and nutrition based programs for people with special health concerns like diabetes. Then I started to think: what can I realistically do—locally— to help? Outside of governmental programs, I knew that taking a holistic approach, including equitable food distribution, sustainable agricultural practices, and nutrition education was the most positive way to make a difference in the fight to end hunger. That’s when I discovered the Food Justice movement . I didn’t know much about this community-based movement, but the name alone made me feel empowered and reminded me that hunger is actually a social justice issue. I started checking out local groups involved in this activism. 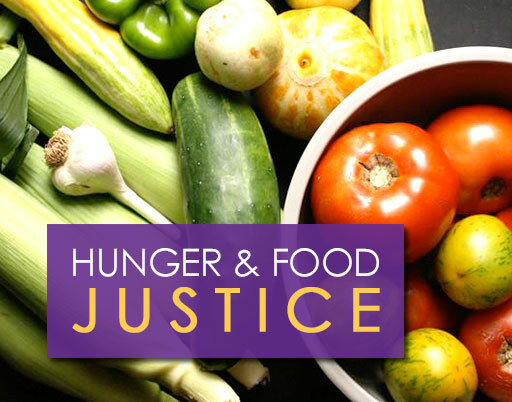 Food Justice is the right of every person to have access to fresh, nutritious food. 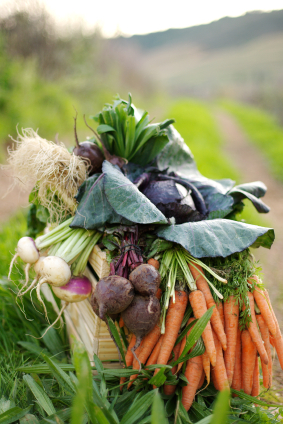 Food justice groups are caring individuals who create food production techniques that are healthy and sustainable (often in underused public spaces); raise awareness; teach waste reduction; and offer nutrition programs, gardening and other resources for schools and communities. These are actions anyone could take to make a difference in the world. So what am I going to do, now that I’ve educated myself about hunger? I’ve signed up to volunteer with the Oakland-based organization Planting Justice. I’ve promised myself I will be more mindful and less wasteful about the food I bring home, and I may try building my own food-producing garden…even if it is just one basil plant and one rosemary plant for now! One step at a time, right? The organization’s No Kid Hungry campaign is focused on ending childhood hunger. Practice economical food usage. Store leftovers and freeze or donate the extra. Volunteer our time at community gardens and food banks. Raise awareness by educating ourselves and talking with our friends, family and neighbors. It’s the first step to building strong communities. Hi, I’ve been looking around for some real data to put my hands on with respect to food inequality. Your citation for AMJ in the first paragraph looked promising, but it links to the journal page rather than the article. Could you clarify the citation? Thanks! !